Wilmington, NC - September 22, 2016 - Alcami, a leading provider of custom development and manufacturing services for the pharmaceutical and biotechnology industries, today announces strengthened capabilities in analytical services at its Edison, New Jersey site. 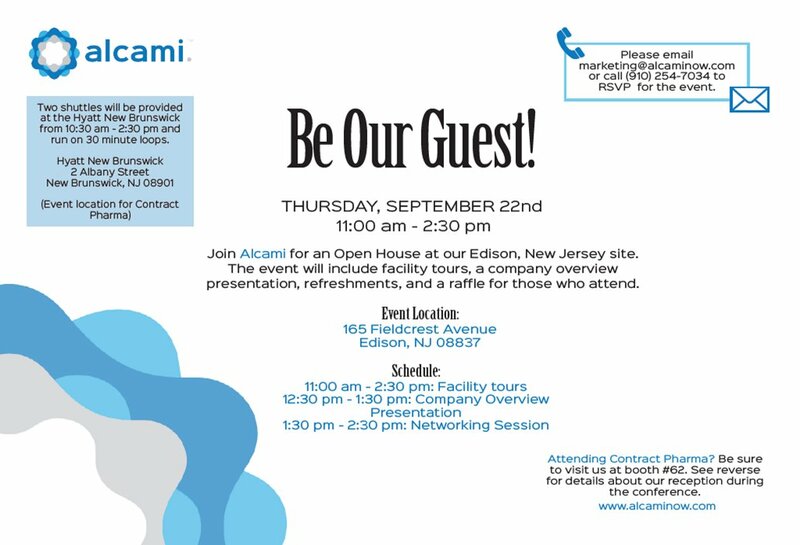 We are hosting an open house at our Edison, NJ facility from 11:00am - 2:30pm on Thursday, September 22, 2016. The event will include facility tours, company overview presentation, refreshments, and a raffle for those who attend. If you are in the New York/New Jersey area, please join us for this event! As published in Pharma's Almanac Q3 2016. 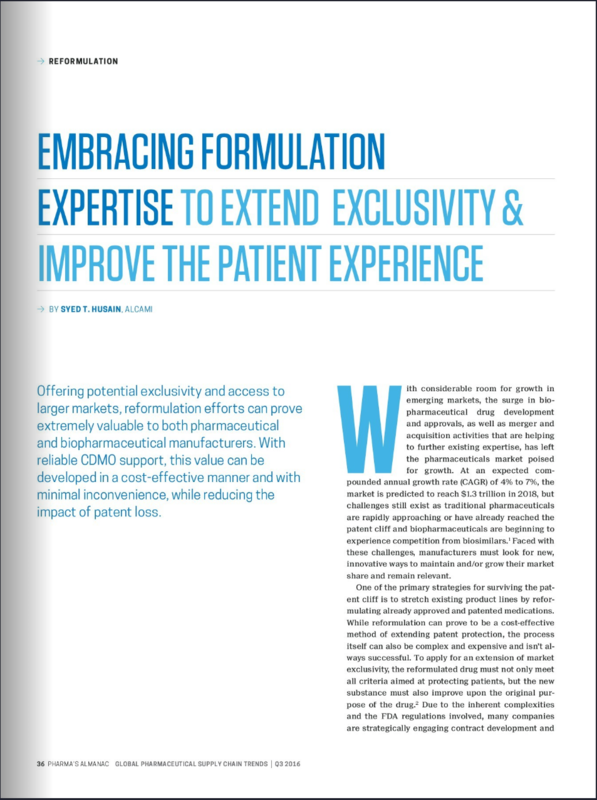 Offering potential exclusivity and access to larger markets, reformulation efforts can prove extremely valuable to both pharmaceutical and biopharmaceutical manufacturers. 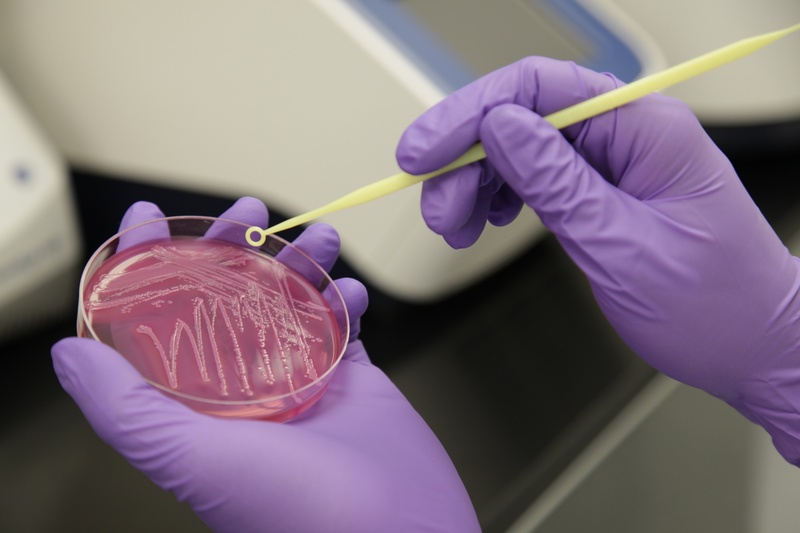 With reliable CDMO support, this value can be developed in a cost-effective manner and with minimal inconvenience, while reducing the impact of patent loss. 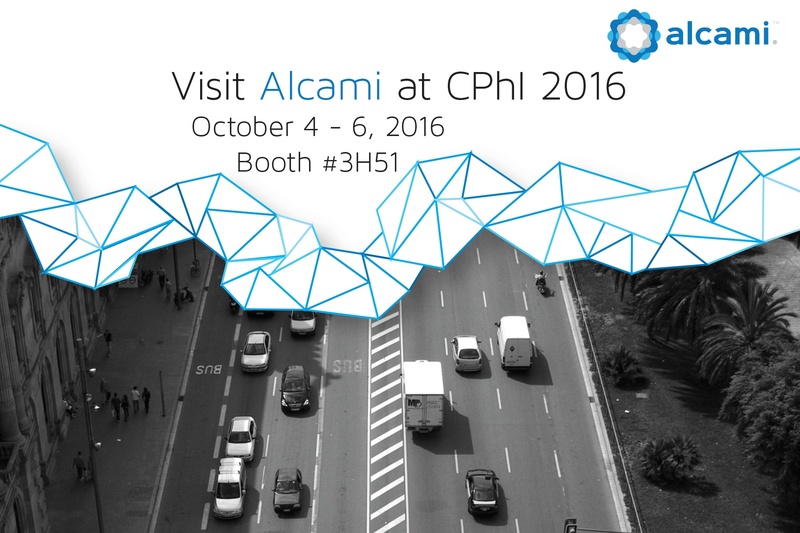 Be sure to visit Alcami in Hall 3 at Booth 3H51! The 15th Annual Contracting & Outsourcing Conference & Tabletop Exhibition will be held September 22-23, 2016 at Hyatt Regency New Brunswick, NJ, located in the heart of New Jersey’s pharmaceutical industry. The two-day conference and one-day exhibition on September 22nd provides the perfect venue for easy, informal discussions for manufacturing, packaging, laboratory services and more! The tabletop exhibition will be held one day only on Thursday, September 22nd with an additional half day of sessions held on Friday, September 23rd. 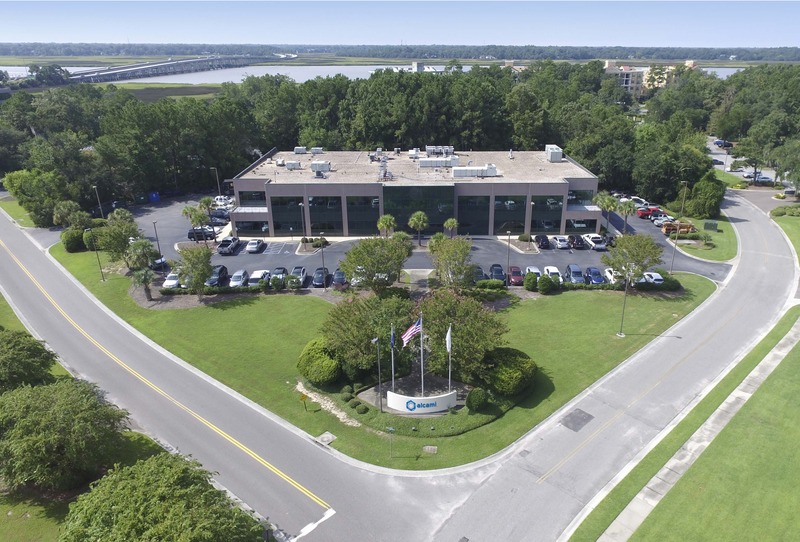 Wilmington, NC - September 8, 2016 - Alcami Corporation, a leading provider of custom manufacturing and development services for the pharmaceutical and biotechnology industries, today announces additional laboratory-scale capabilities to support prefilled syringes in Wilmington, NC and the successful completion of previously announced investments in Charleston, SC.